There are lots of new and exciting things going on in Lexington this month! Learn about what's happening in our community this holiday season! The Kentucky Black Bourbon Guild (KBBG) is a community of bourbon enthusiasts that honors minorities in bourbon history and promotes the future of an increasingly inclusive bourbon industry. 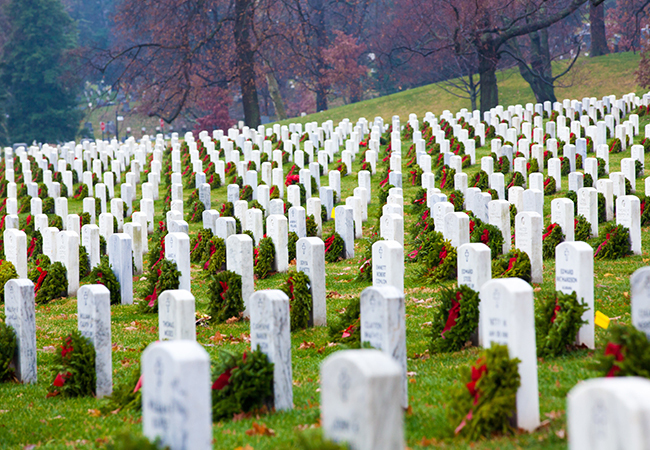 Camp Nelson is a participating veteran cemetery in Wreaths Across America. Help the community raise funds to ensure a wreath is placed on each veteran gravestone on December 14th as Wreaths Across America honors thousands of fallen heroes across the country. The Lafayette Marching band brought home its 20th state championship home after the Kentucky Music Educators Association Kentucky State Marching Band Championships were held on October 27th with its performance called "MOSAIC". Chicken Salad Chick opened its 100th location in Brannon Crossing on November 8th. Lexington Furniture Company began in 1960 and has consistently offered Central Kentuckians top-tier quality furniture with meticulous craftsmanship and exceptional customer service. This fall, they moved to 1132 Industry Road in Lexington with the goal to offer customers a more tailored experience from start to finish. Their Industry Road location is focusing on offering a customized furniture experience. From upholstery to outfitting an entire room with furniture, their main goal is giving clients the opportunity to curate their spaces and find exactly what they’re dreaming of. For homeowners who feel overwhelmed by design, have no fear: the Lexington Furniture Company staff can provide insights, recommendations and ideas to help make every space feel perfectly balanced and beautiful. They’re committed to offering the same level of quality and service that Central Kentucky has come to expect over the last 58 years. Lexington Furniture Company is known for carrying some of the most prestige home furnishing brands in the industry, including Bernhardt, Drexel Heritage, Henredon, Canadel, American Drew, Althorp, Hancock & Moore, Harden and more. Their extensive network of suppliers means that they can find the perfect pieces for a variety of home styles and needs. Clients can select pieces from these brands and truly customize their space with luxurious, top-quality furnishings. Rainy days are more fun at The Summit! Lexington is the city where locals can experience any or all of the four seasons in a single day. Shoppers can never be quite sure what to expect from Kentucky weather, but if they happen to be at The Summit at Fritz Farm when Mother Nature decides to downpour, Crú Food & Wine Bar will have them covered... quite literally. 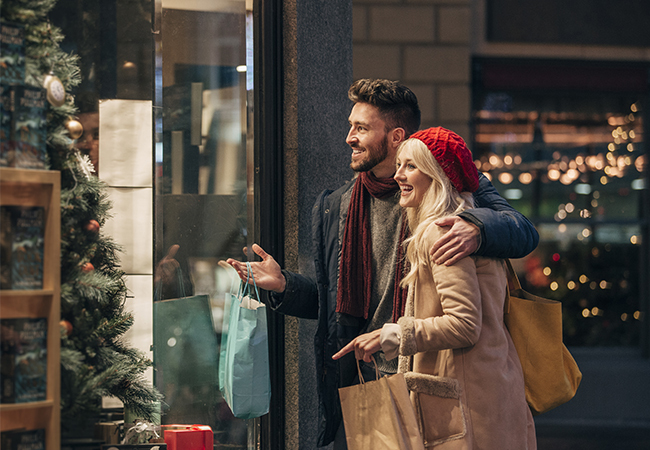 Between now and December 31 at 11pm, shoppers can borrow umbrellas during their shopping excursions and be rewarded for simply returning them! Whenever it rains, shoppers at The Summit can stop by Crú Food & Wine Bar to grab one of the complimentary Sip & Shop umbrellas to use for the day while they wander through The Summit’s many shops and boutiques. Upon returning the umbrellas in the same day, shoppers will receive a $5 gift card to Crú Food & Wine Bar. Crú Food & Wine Bar can’t wait to welcome shoppers back for a wonderful evening full of wine and Napa style food. 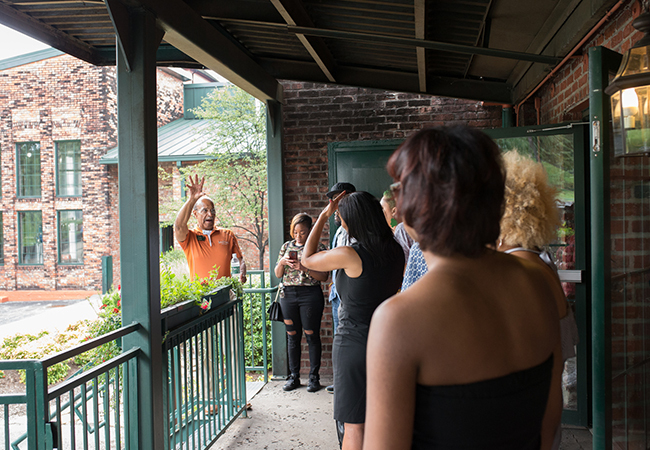 A new organization aims to improve multicultural bourbon tourism in Kentucky while preserving and celebrating the long history of minorities in the bourbon industry. The Kentucky Black Bourbon Guild (KBBG) is an inclusive community of consumers and enthusiasts of America’s only native spirit. Their mission is to honor minority involvement throughout bourbon history while embracing its future development through inclusivity, education and community building. Their core values are inclusion, stewardship, history, education, career exploration, networking and community development. The are partnering with distilleries to provide local tastings, tours and select barrel picks for KBBG members. They’re also bringing in speakers and establishing workshops to help their members learn, network and connect across the industry. Their goals for the future include establishing a scholarship fund for minorities entering spirit-related industries, helping to facilitate a brighter tomorrow for a new generation of bourbon enthusiasts and experts. They are also partnering with the Stave and Thief Society to advocate for members of the KBBG to become Certified Bourbon Stewards. On November 8, Chicken Salad Chick opened its 100th restaurant in Nicholasville at 254 E Brannon Road. 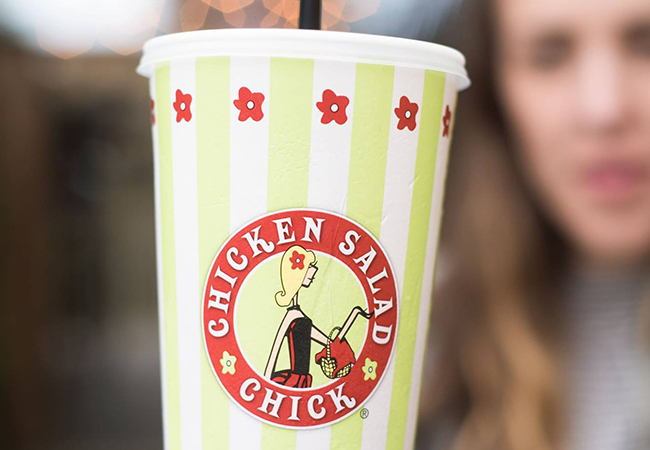 This marks Chicken Salad Chick’s 22nd opening in 2018, and its first location in Kentucky. To carry on the excitement of the grand opening, the following week included daily specials and giveaways such as a free large Chick Cooler, entry into the Free Chicken Salad of the month Club, and a free Chick Coozie and a large drink for the first 50 or 100 customers to arrive on each day. Chicken Salad Chick was founded in 2008 by Stacy Brown, after the local health department prohibited her from selling her dishes from her home. To counter the setback, Stacy teamed up with co-founder and future husband, Kevin Brown, to open the first Chicken Salad Chick. Now 100 restaurants strong, Chicken Salad Chick is owned and operated by Vickie and John Tranter. A UK hat, red lipstick, good smelling lotion. These are just a few Christmas wish list items that seniors in the Lexington area have asked Santa for. Six years ago, Rector Hayden Realtors introduced Senior Sleigh, a holiday project that delivers requested items to seniors living in homes, lifting spirits with love and generosity of everyone involved in this wonderful cause. This year, 900 seniors across five counties will be participating. Pine Meadows, Cambridge Place, Sayre Christian Village, Lexington Country Place, Morning Pointe Alzheimer’s Care, Dover Manor, Manor Hill, Arcadian Cove, Thomson Hood VA and Margaret Hall will all be receiving gifts. To be the person who makes a senior’s Christmas wishes come true, stop by the Hayden Rector Realtors Office in Lexington, Georgetown or Versailles. There is a Christmas tree at each location with requested items written on tags. Simply take a tag, purchase the small gift and wrap it, and return it to the location by December 14th. Camp Nelson National Cemetery lies south of Nicholasville, and is home to the final resting places of America’s fallen heroes. Every year, Camp Nelson partners with Wreaths Across America, an organization that aims to place a wreath on each veteran grave in the cemetery. Wreaths Across America’s mission is to remember, honor, and teach on National Wreaths Across America Day. This year, National Wreaths Across America Day is on December 15th. On that day, every veteran cemetery the organization has partnered with will hold a wreath-laying ceremony. Wreaths Across America plans these ceremonies at Arlington National Cemetery and at more than 1,400 locations across the country, making an impact in all fifty states. This year, Camp Nelson’s goal is to raise enough money to provide 15,000 wreaths. With National Wreaths Across America Day just around the corner, only 3,276 wreaths have been sponsored, leaving a 11,724 wreath-wide gap between hope and the reality. Wreaths Across America and Camp Nelson is reaching out to Lexington businesses and individuals to help increase the current funds for this cause, so this day can be as special as possible. Wreaths Across America commemorates this day not only to honor fallen heroes, but also their loved ones who endure the holidays without a veteran family member. Donations are a small way of remembering those who fought for our freedom, and paying respects to their families. On December 15th, Camp Nelson will host the wreath placing ceremony at the cemetery, and are in need of volunteers to help set a wreath on each grave. Each veteran buried at Camp Nelson paid the ultimate sacrifice. Now, Camp Nelson needs small sacrifices of the public to keep this patriotic tradition going this year and for years to come. The importance of remembering and honoring America’s bravest hearts cannot be stressed enough as the holidays approach. Making a monetary donation or volunteering time to participate in this event is an act that does not go unappreciated. The more sponsorship and time dedicated to these fallen heroes and their families, the more meaningful this day can be for everyone. Last year, the Lexington area raised enough money to provide over 900 wreaths, a record breaking year for Camp Nelson. Time is of the essence as December 15th nears, and Camp Nelson and Wreaths Across America are excited about the elevated Christmas spirit in Lexington, and look forward to the outcome of local efforts. A Lexington marching band recently took home its 20th state championship title! The Kentucky Music Educators Association Kentucky State Marching Band Championships were held on Kroger Field on October 27th. Lafayette High School’s marching band won the Class 5A championship, bringing their total of state honors to 20. 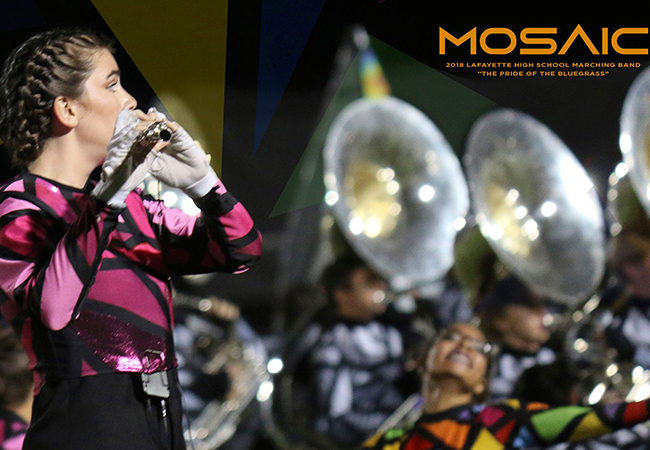 Their performance, titled “MOASAIC”, brought color and vibrancy to the field. The band and color guard wore uniforms and carried flags with patterns that mimicked stained glass. The competition schedule is demanding for these young musicians. Bands that attend at least two sanctioned contests are allowed to compete in the regional quarterfinal competitions. Sixteen bands from each group advance to the state semifinals the following week. The top four bands from each class compete in the finals, held the same evening, performing once more for the judges. North Hardin High School came in second place while Madison Central High School brought in third and Paul Laurence Dunbar Band came in fourth. The Class 4A champions were South Laurel High School while Bourbon County High School came out on top in Class 3A. Adair County High School took top honors in Class 2A while Murray High School won in Class 1A. According to a Harris Poll, two-thirds of high school graduates participated in a music program while 90% of post-graduates were former band kids. In fact, 83% of people earning at least $150,000 per year participated in music programs! Why is that? Our brains are wired for music in much the same way they’re wired for language. Studies show that kids who learn music also do well in math, foreign languages, memory, speech and reading comprehension. Marching band and color guard also offer physical health benefits, like athleticism and coordination. Band is an incredible asset to our schools. Bands consistently need funding and support. Consider looking into a local band program and find out how you can help bring music to local students.